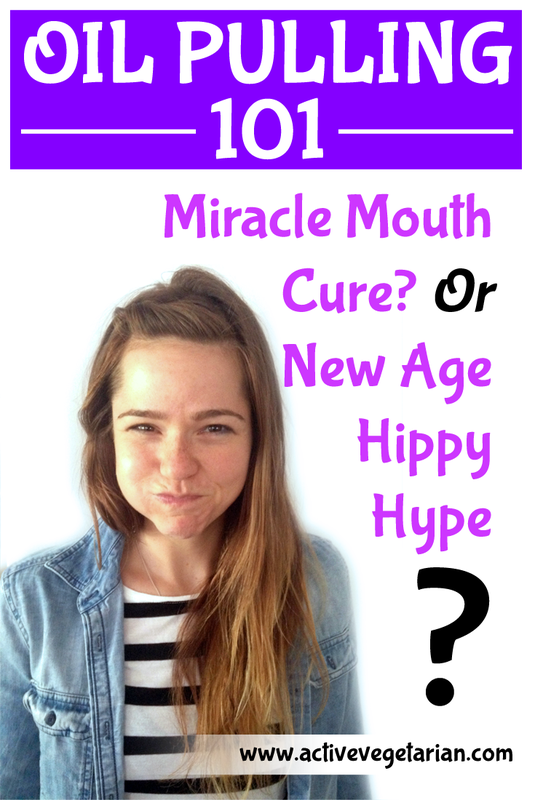 » Lifestyle » Oil Pulling 101: Miracle mouth cure? Or new age hippy hype? Many people are probably aware that most toothpaste and many mouth rinses contain fluoride because that’s what dentists have recommended for years to prevent cavities. But did you know that most popular toothpastes contain enough fluoride in four ounces to kill a small child within 2 to 4 hours? Just read the label on any major brand toothpaste or mouthwash. You’ll see they are loaded with dangerous toxins and chemicals such as sodium fluoride, triclosan, FD&C Blue Dye #1 and 2, sodium lauryl sulfate, and hydrated silica. All of these common ingredients have been found to be harmful to humans. Sodium Fluoride: One of the main ingredients in rat poison and toothpaste! Which is why, we think, oil pulling has gain such a popularity . Well, that, and the fact that Gwyneth Paltrow has been talking all about it. The first time I was introduced to this remedy was few years back during a yoga training in India. While oil pulling has seen a recent surge of popularity, it’s been around for a long, long time. Like, before mouthwash, dental floss, toothpaste and Invisalign treatment near Alhambra CA. I actually went for a checkup at Oxford, and got a full list of services from Oxford Dental Care – noticing that they offer oil pulling treatments as well. Nikki and myself personally do this with coconut oil either first thing in the morning or last thing before sleep. Coconut oil is naturally antibacterial and has a milder taste then other oils and I really enjoy the flavor. I’ve noticed whiter teeth since starting oil pulling, but most notably, my teeth are incredibly smooth! Between this and using TheraBreath PLUS Toothpaste and Therabreath Oral Rinse, I feel that my teeth are much healthier- stronger and overall feel cleaner during the day. Some people supposedly notice a detox reaction for the first few days of using oil pulling that usually includes mild congestion, headache, mucous drainage or other effects. I personally didn’t notice any of these effects, but have read cases of others who did. You’re probably going to spit the stuff down your pipes but DON’T! Coconut oil solidifies in cold temperature and could clog your drain. So avoid an expensive plumbing bill and spit oil into the trash can. Especially if you have a septic system ! Do not swallow the oil as it is hopefully full of bacteria, toxins and pus that are now not in the mouth! For some of you, 20 minutes a day could seem like crazy long chunk of time to keep a gob of oil swishing through your teeth every day, so oil pulling may take some discipline at first. But I promise you, the longer you do it, the easier and less bothersome it becomes, so stick with it!